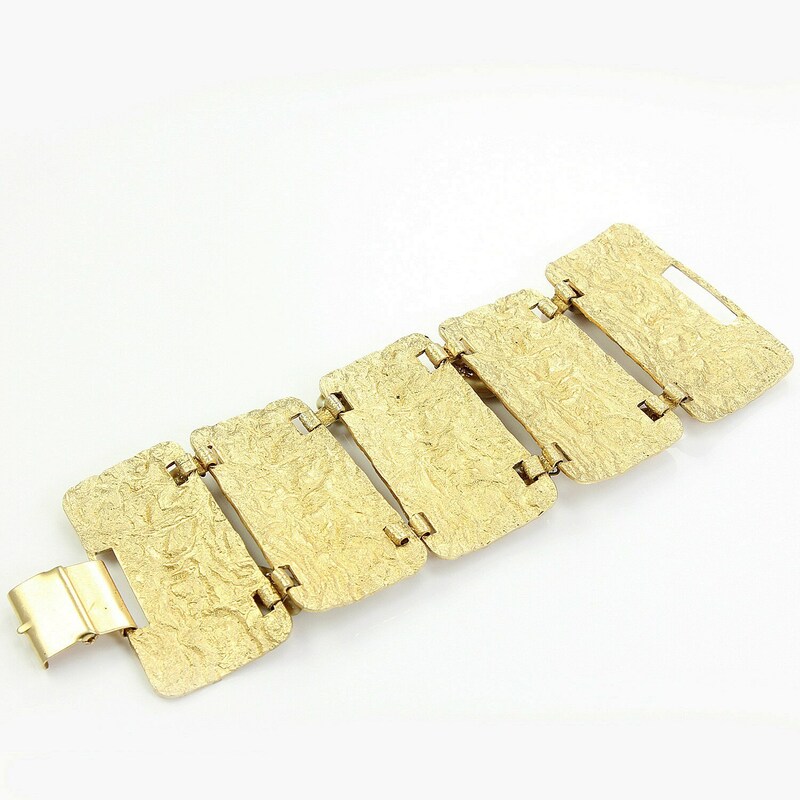 Vintage Mid Century Modern Bold Gold Tone Statement Bracelet. 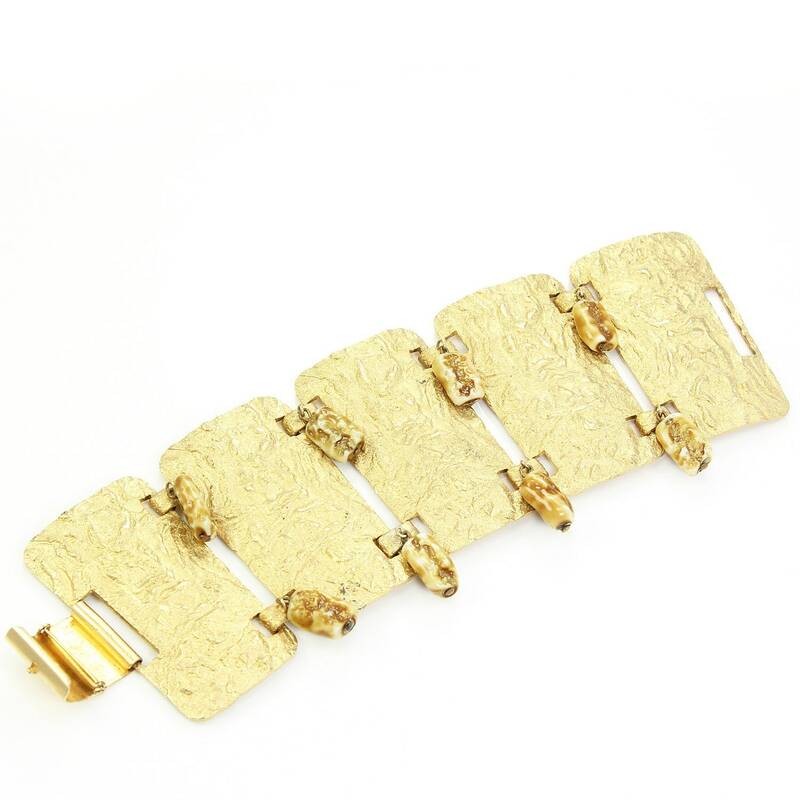 Five tapered, heavily textured rectangular links are accented with baubles of brown and caramel glass beads. Finished with a fold over clasp. 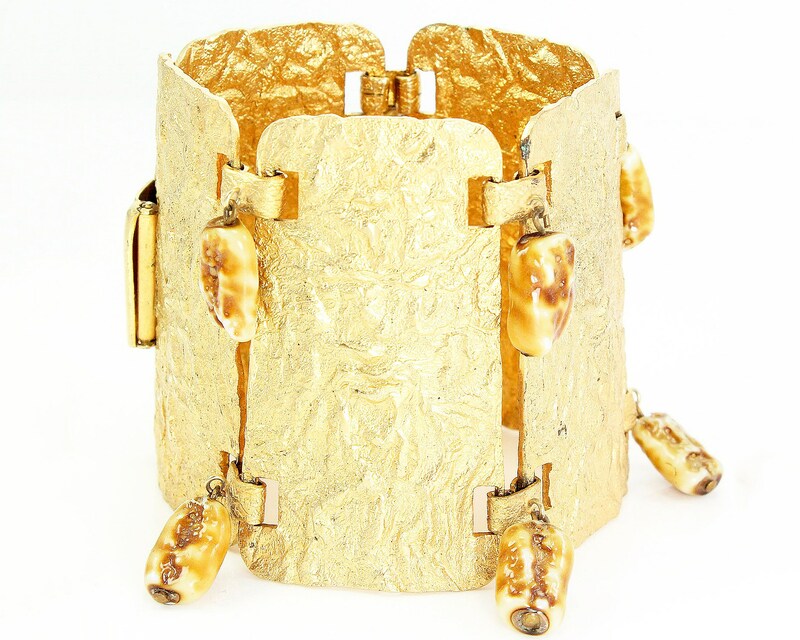 The bracelet makes the statement of a cuff, but is more comfortable due to the panel construction.